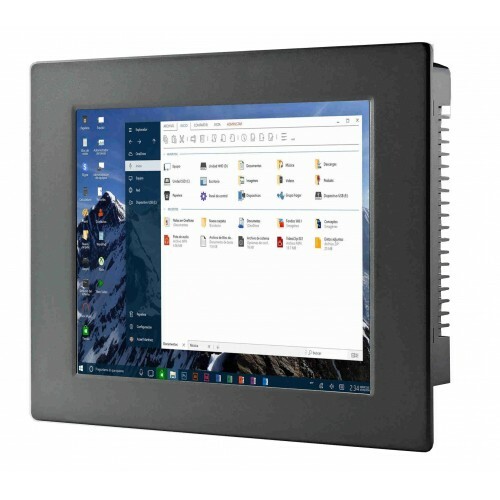 The PC1201 is a 12" panel PC with an Intel Atom D525 processor compatible with Windows 7 and Windows 10. 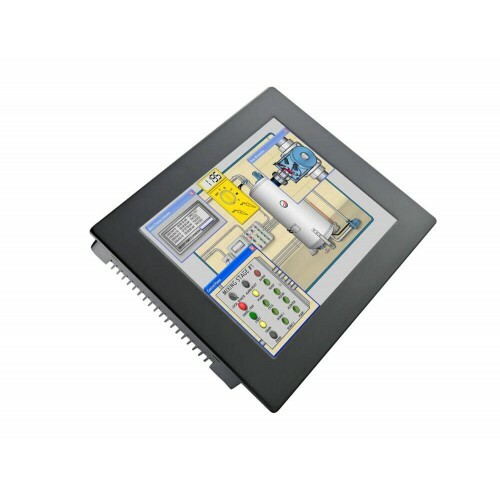 Sporting a 5 wire touchscreen and multiple mounting options, the PC1201 is ideal for industrial applications. 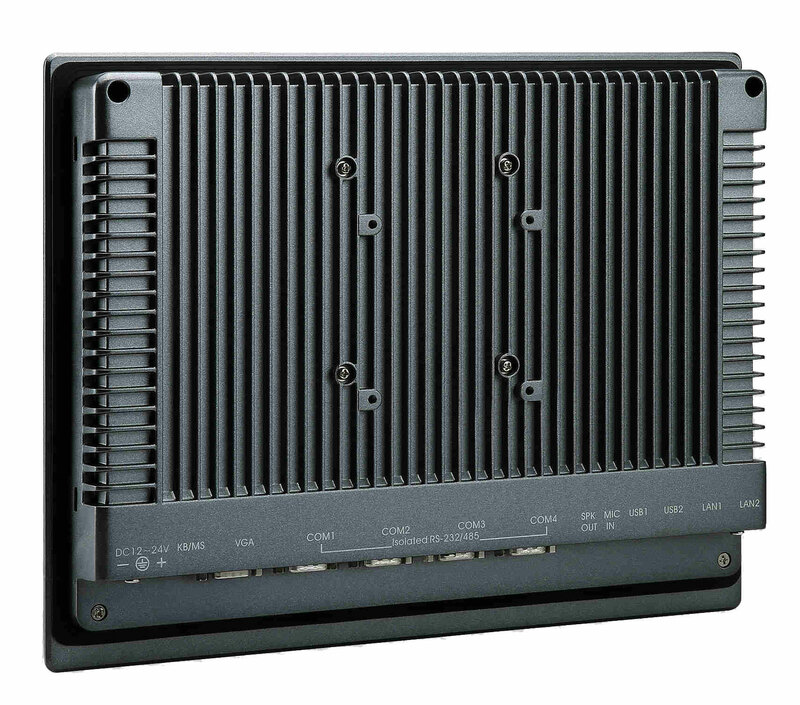 The PC1201 is fitted with the industrial standard Atom D525 processor, a superbly reliable processor that runs at low heat production but remaining high power for processor heavy applications. The PC1201 has a lightweight aluminum alloy comprising it's frame, giving it the strength to endure while still remaining lightweight for portable operations. 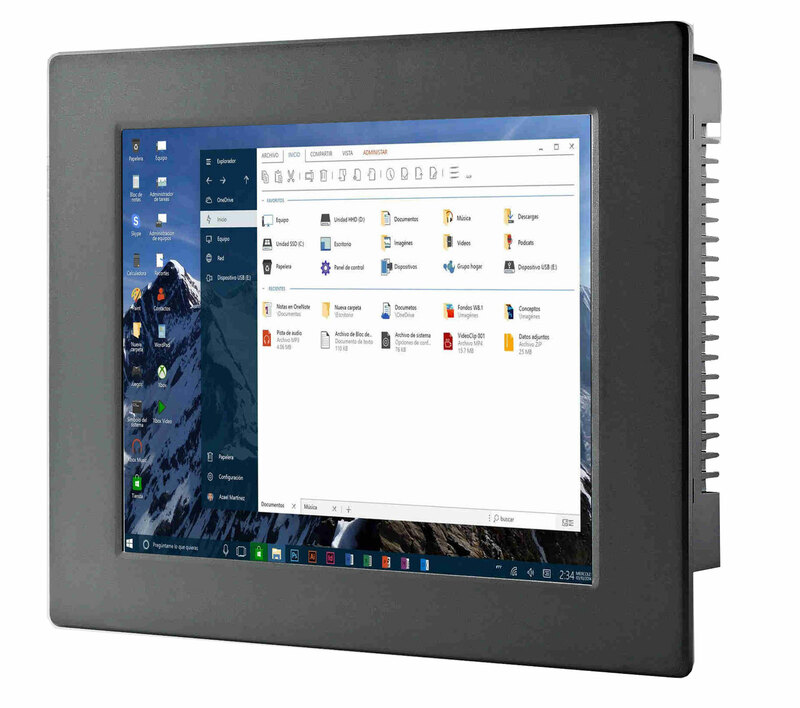 The PC1201 is a system designed around the industrial market, with it's metal outer frame, and 5 wire touchscreen - this system is reliable and tough at a fraction of the price of other industrial standard panel. 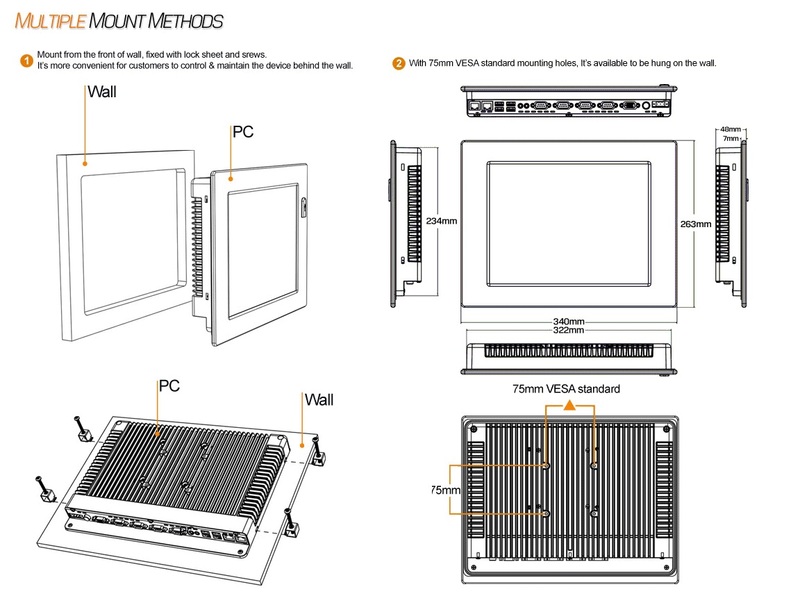 With a 5 wire resistive touchscreen the PC1201 is able to stand greater amounts of use without failing. 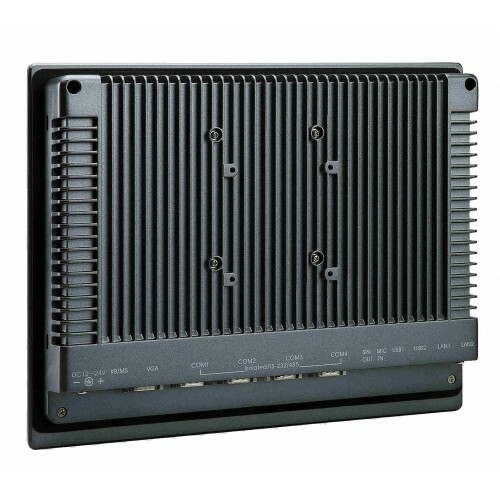 The PC1201 can be mounted in a variety of ways - using the VESA mounting on the rear of the unit or flushmount the system using the front mounting clips. 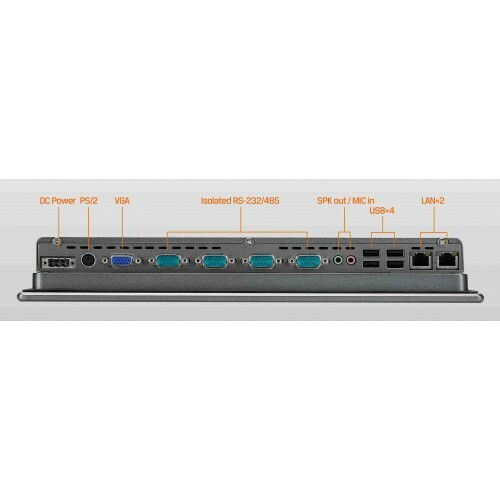 Also available - our rackmount mounting kits let you fit PC1201 into your rack system for server management you can count on.